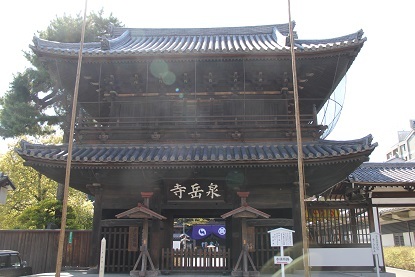 Sengaku-ji temple figures prominently in the tale of the Forty-Seven Ro(_)nin, a true story beloved by all Japanese. When virtuous Lord Ako is forced to commit ritual suicide after being taunted into drawing his sword in Edo castle―a breach of protocol―47 retainers plot their revenge and, one year later, attack and execute powerful Lord Kira, the man responsible for Ak-o’s death. In turn the 47 also commit ritual suicide. The retainers and Lord Ako are all buried at Sengaku-ji. Tokyoites remember their loyalty in Sengaku-ji festivals, at which time thousands line up to burn incense before the graves.